There are three strong candidates in the race for vice-president (student life) but none of them really shone in today’s forum. 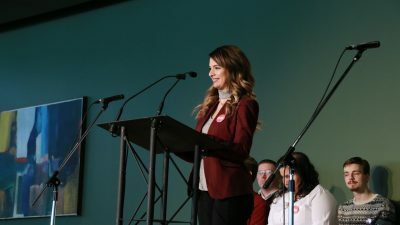 Their platforms are fairly similar; all three talked about strengthening residence associations, advocating for affordability, raising awareness about upcoming cannabis legislation, and reaching out to diverse groups of students — all of which, to be fair, are important. But they will need to work harder to distinguish themselves in this race. 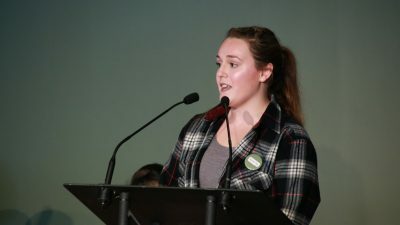 Candidates were questioned today on the health and dental plan (they all want it to be flexible and give students the option to opt-out), the dissolution of the East Campus Village residence association (they all want to help bring it back), and creating diverse programming (they are all in support). Each candidate in this race does have assets they should leverage more. Andre Bourgeois is a tried and true event planner and WOW hype guy, and speaks about bringing a human element to the portfolio, using connections between students to build community. Michelle Kim has a wealth of experience in advocacy, involvement with residence associations, and work with the SU. Her work with CORA, and her knowledge of its flaws, definitely gives her an edge on the other two when it comes to past experience. Stephen Raitz is a bit of an SU outsider, which he seems to be hiding from so far instead of using that to his advantage. 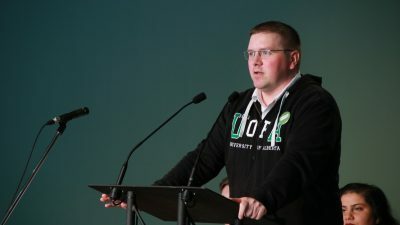 Against Kim and Bourgeois, who have both worked extensively with the SU, Raitz comes from outside the governance bubble and could bring some fresh perspectives on the standard SU issues. He should talk about that more. 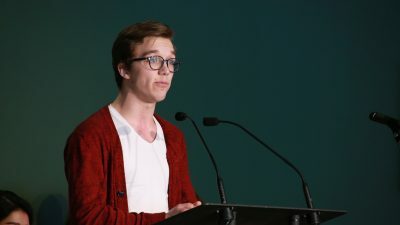 Raitz, an urban planning student, also brought up a couple of interesting points about making campus spaces better for students, which I hope to hear more about in his campaign. The thing that frustrates me most about this race, although it is not exclusive to this race, is how much the candidates are relying on “consultation” as a cornerstone of their platforms. Collecting data from students is important, and any SU executive should reflect students’ wishes, but those are things candidates should be doing before running for elected office. That’s the whole point of making a platform. Instead of promising to listen to students, candidates should be basing their campaign promises on the wishes of students, which they should make an effort to already be aware of in advance — that’s literally their job. The vice-president (academic) race seems to have some candidates reaching for goals they can not and will not achieve in their portfolios. 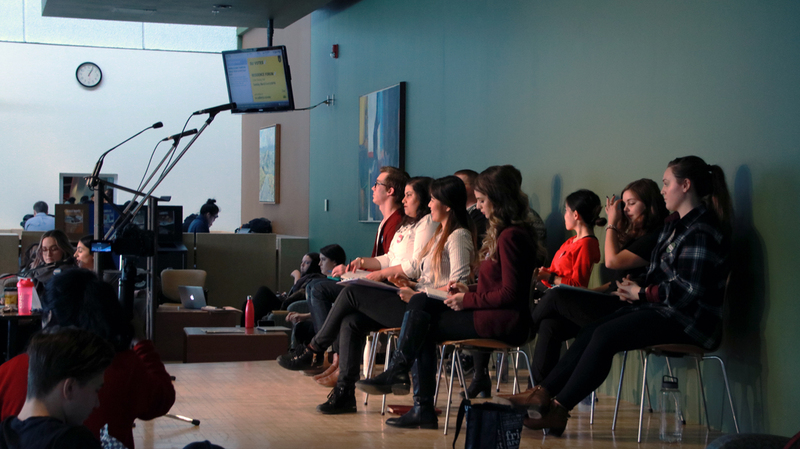 In today’s forum, the candidates were asked questions on reconciliation and decolonization in the classroom, their experience, and mental health (for some reason). Each candidate answered these questions to varying degrees of success. While each candidate had moments to shine, one clearly came out on top. Akanksha Bhatnagar was the strongest candidate in this forum. When asked on topics such as reconciliation and working with multiple committees, she provided a coherent answer on the issues that are achievable within the role and duties of the VPA. She pressed on her experience and passion for the position, which was brought up in all the questions she answered. She did, however, mention that these are her plans in her “first year.” She’s in it for the long-term game, which is a rare thing for candidates to openly admit. Cristiana Pop followed Bhatnagar in passion and experience. She was equally adequate in answering questions on reconciliation, especially when it came to highlighting the importance of working with aboriginal groups in the present, not just touting past relationships with those groups. She fumbled, however, with her stance on mental health, mainly being one of prevention rather than reaction. The role of the VPA has little to do with mental health initiatives on campus as that falls onto the VPSL. Her desire to have mental health resources on syllabi was weird to me as, personally, all of mine have already had them. Pop, in future forums, should focus more on her experience and better her reconciliation rhetoric, as it was very surface level when her opponent, Bhatnagar, could dive deeper. Tiffany Bruce was, unfortunately, the weakest candidate. Her stance on mental health was best suited to that of a VPSL rather than the position she is running for and her answers were varied, but not in a good way. Some were problematic, such as needing security around Indigenous safe spaces but not specifying who needed protection. 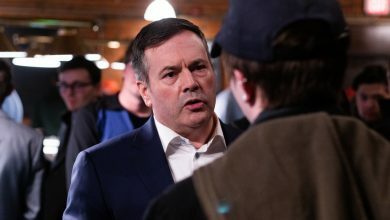 Others were weak, such as when she answered her own question about the most important U of A document produced with a list of documents and no explanation. The worst part about the latter example was that her opponents’ specific and effective answers bettered their position in the race. Bruce tried to make herself stand out as a science student who has to balance a demanding degree with a demanding position. She went as far as to say she best represents the average student. She needs to do a lot of work to gain back the traction she lost in the forum, mainly accepting that her mental health platform is her bridge too far. There was a clear winner in today’s forum. Akanksha Bhatnagar had clear and concise answers that entrenched her strong presence in the race. 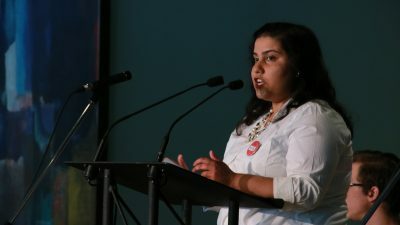 Cristiana Pop was close to victory, but she needs to focus her enthusiasm into areas of her platform that she can achieve, such as reconciliation in the classroom. Tiffany Bruce, however, failed to leave any lasting mark on the race so far. I am really disappointed with the Board of Governors race this year. Although BoG reps aren’t paid, unlike SU executives, they play a crucial role in making high-level decisions. 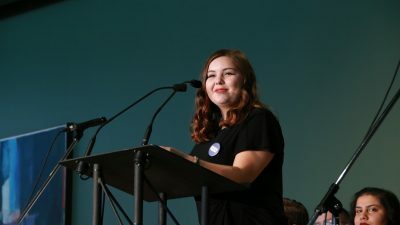 This representative is one of only three students who sit on the Board of Governors, and votes on things that impact every single student here, like tuition and rent. Both candidates in this race at least seem to be well-intentioned, but neither candidate professes the necessary knowledge or experience to effectively execute this role. Holding your own on a board of administrators and professionals is not an easy task, and students deserve a representative who will advocate for their interests effectively and with vigour. I don’t see that happening with either of these candidates. 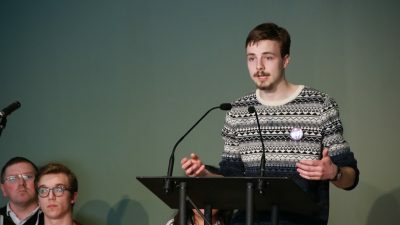 Levi Flaman, in his opening speech, mentioned the Board’s Finance and Property Committee (BFPC) meeting that took place earlier this week, where members passed a motion recommending an increase in rent and international student tuition, and the implementation of the wildly unpopular all-you-can-eat meal plan. Yet somehow Flaman seemed confused about what had taken place at the meeting, and what exactly had been passed. I’m concerned by Flaman’s confusion, and even if he just stumbled out of nervousness, from his performance today I am unconvinced that he will be an effective advocate. Yiming Chen, his opponent, did not mention the meeting at all during the forum. When asked, she also failed to name any of the Board of Governors committees, indicating a serious lack of familiarity with the institution she is running to be a part of. 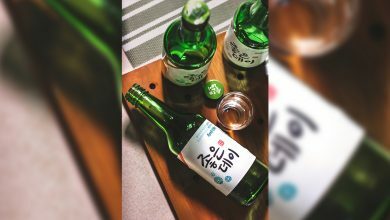 Flaman was reluctant to make any promises that he will be able to influence the board’s decision, emphasizing that he cannot guarantee any specific results. While this might be true, the BoG rep is only one vote after all, it feels like Flaman has already given up. He seems to be lacking the passion that students are looking for in a representative. Undergraduate Board of Governors representative candidate Yiming Chen. 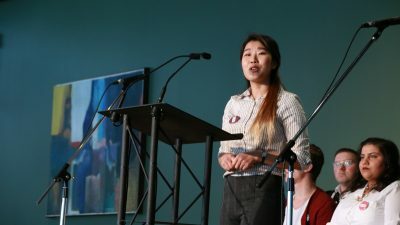 Chen’s stance is largely based on advocating for international students, but again there seemed to be a lack of clarity from her around what the university is doing in the status quo. 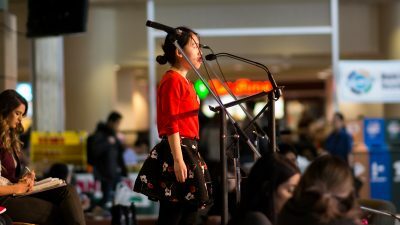 Chen was seemingly unaware of the fact that the provincial tuition freeze means that domestic tuition cannot be raised, and provided no explanation of how she will persuade BoG members to vote against increasing international student tuition. She also did not address any of the other issues that the BoG rep is responsible for. As only a first-year student, I respect her courage in running, but her lack of relevant knowledge or experience for the position makes her a weak candidate. The BoG reps who have been successful in the past are those who work incredibly hard to collect data and build watertight arguments that are not only emotionally convincing, but that reflect the larger financial and strategic goals of the university. It is still early in the race, but from what I have seen so far I have no confidence that either of these candidates will be able to do that. As is usually the case in a plebiscite campaign without a “no” side, there isn’t a lot of controversy around the CREF right now. 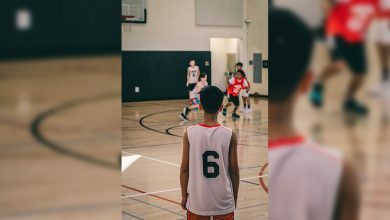 It seems like a good idea; making services like drop-in swimming and access to the climbing wall free for students is definitely a good thing, and that is funded by CREF money. We didn’t hear a lot of questions about the program at this forum, so hopefully there will be more explanation of the plebiscite in the future.